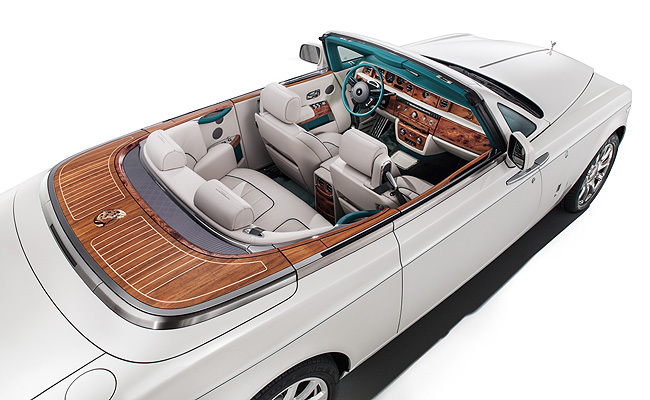 Rolls-Royce is creating a bespoke version of its Phantom Drophead Coupe exclusively for its customers in Dubai. Called the Maharaja Phantom Drophead Coupe, the vehicle honors India's affinity with the brand which started 100 years ago as the country's princes and Maharajas "engaged in what is described as one of the world’s longest relationships with one automobile manufacturer." According to Rolls-Royce, in a period that spanned five decades, India's Maharajas bought over 840 unique Rolls-Royce motor cars, "pushing the maker of the 'Best Car in the World' to unprecedented levels of design, engineering and luxury." The Maharaja Phantom Drophead Coupe is clad in Carrara White, and has a peacock emblem in honor of India's national bird, as well as an Emerald Green coachline. 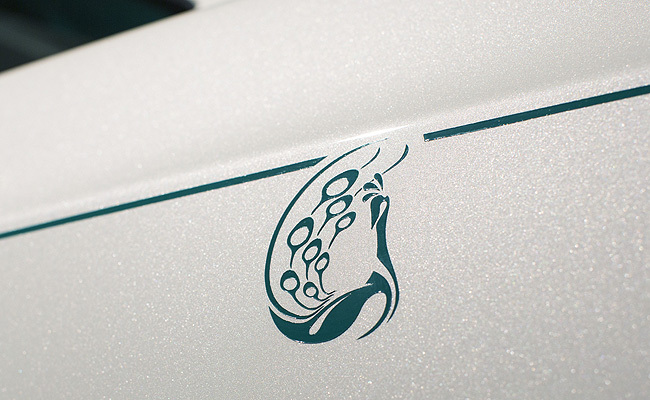 The car's fabric top comes in Deep Green, and when it is retracted, it reveals a deck with a Peacock emblem integrated into the marquetry to complement the peacock detail on the hood. 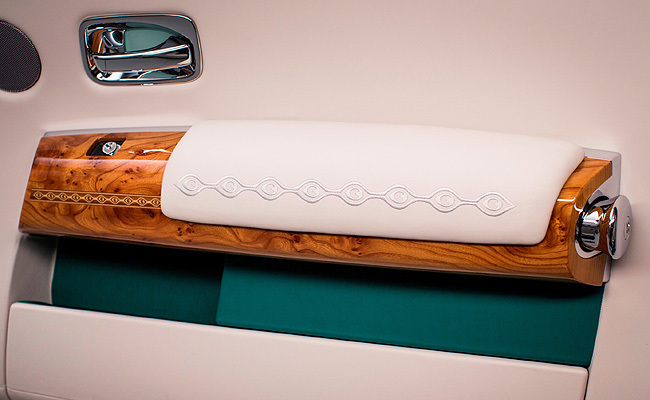 The color theme continues in the interior, as the Creme Light leather comes with Emerald Green accents. This is then complemented by the marquetry inlay on the fascia panel top and armrests. More peacock emblems can be found embroidered into the headrests in Emerald Green and Cobalto Blue, while a peacock feather pattern in seashell stitching can be found on the side and central armrests. 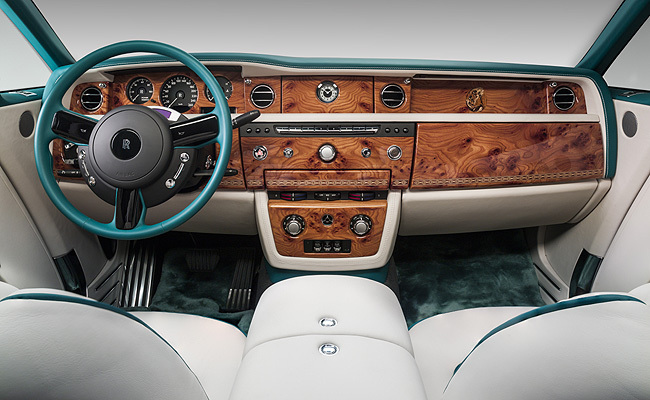 The Rolls-Royce Maharaja Phantom Drophead Coupe is supposedly only the first of a bespoke collection of vehicles inspired by the Maharaja's cars which the British luxury carmaker will produce.